Point cook is just about 25 KM from Melbourne CBD and because it is easily accessible from Melbourne CBD and Northern suburbs, there are many companies provides ducted heating cleaning in Point Cook area. 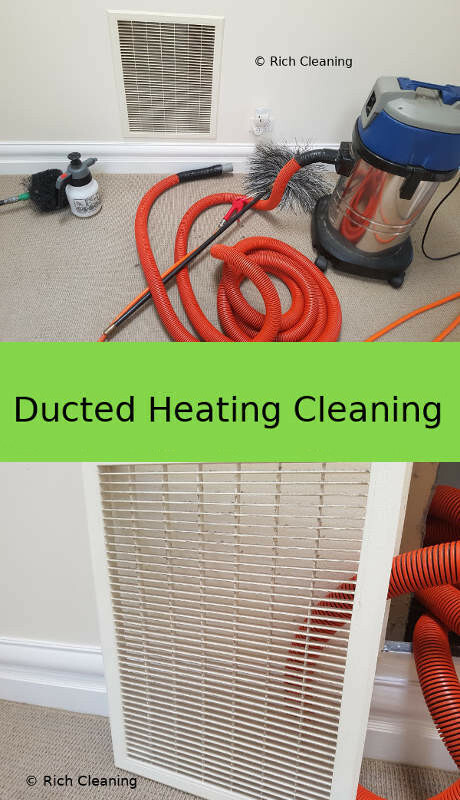 Rich Cleaning is known for a quality duct cleaning in Point Cook to get your duct and vent cleaned? We provide best cleaning experience to boost the ducted heating and cooling efficiency. The temperature in Point Cook goes very during the winter and also gets very hot during the summer. The performance of duct becomes very important to get quality air from your duct systems. The condition of air duct system is very important in Point Cook particularly during summer because most of the people may stay home in extreme temperature as there is no beach nearby. So a perfect running system becomes very important. If you have a very old duct system then apart from cleaning you can also request for a detailed inspection to see if there may be any fault as we also provide repair service. If you may have any question related to duct cleaning cost then you can get in touch with our customer service representative as we have very simple cost structure. Duct cleaning before and after photos tells the story better than words. The cost of air duct cleaning in Point Cook mainly depends on the number of duct system you may have also the location matters and importantly the level of dirt may also influence the cost. Our quality of service is guaranteed. We aim to provide best service at right price. You can count on our duct cleaning and repair service. We have a very-very low complaint rate and we are always there to address any issues. Book with confidence.